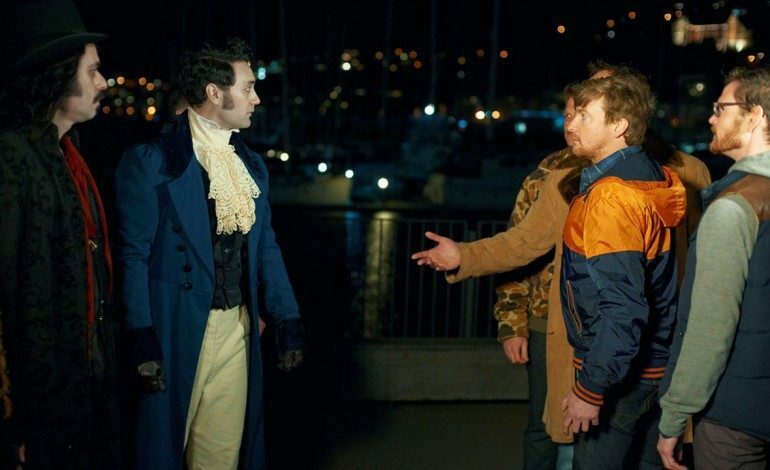 When What We Do in the Shadows premiered at 2015’s Sundance Film Festival, it was met by critics and audiences alike with unconditional praise and was later revealed to be the highest rated comedy of 2015 on Rotten Tomatoes. The film, written and directed by Kiwi filmmakers Taika Waititi and Jemaine Clement (TV’s Flight of the Concords), is a mockumentary following a group of vampire roommates living in modern New Zealand. At some point, the vampires encounter a clan of werewolves through whose perspective the sequel will now take focus. Rumors circled early on that the film would be called What We do in the Moonlight, fashioning the original title to the new werewolf protagonists. Instead, Waititi revealed to Crave Online this past weekend at Sundance that the working title is now, simply, We’re Wolves. Waititi has been at this year’s Sundance promoting his new film Hunt for the Wilderpeople about a rebellious boy and his uncle that go missing in the New Zealand wilderness, inciting a national manhunt. He will soon be directing Marvel‘s Thor: Ragnarok, and has written the screenplay for Disney‘s Moana. Although Waititi has become extremely busy since the success of WWDITS, he and Clement intend to move full speed ahead on We’re Wolves. It is unknown whether the filmmakers will be reprising their roles as vampires Viago and Vladislav in the film, but we can likely expect the return of Rhys Darby (Flight of the Concords) as Alpha werewolf Anton. We’ll have more on We’re Wolves as the film develops.